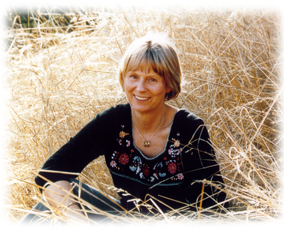 The Diana Padelford Binkley Foundation (“The Diana Foundation”) was established in 2004 as a charitable institution in memory of Diana Binkley. Diana died in August 2003 following adverse side effects of a treatment of high-dosage steroids prescribed for chronic back pain caused by a herniated disc. High dosage steroid treatments can induce neuropsychiatric impairments in one out of five patients. In 3% of affected cases, steroid psychosis leads to suicide in patients with no prior history of suicidal behavior. The Foundation was established to provide information and facilitate dialogue between western physicians, alternative medicine practitioners, and patients and family members regarding the diagnosis, treatment and management of pain in women and to sponsor colloquia around the latest research into the adverse side effects or steroid remedies.The Foundation has co-sponsored two conferences on Pain Management in Women Over The Life Cycle, 2006 and 2007, with the University of California, San Diego ("UCSD") Medical School/Department of Psychiatry. It has also underwritten two colloquia: Glucocorticoids and Mood: Clinical Manifestations, Risk Factors and Molecular Mechanisms, June, 2008 and an international consensus workgroup on Neuropsychiatric Sequelae of Glucocorticoid Treatment, April, 2012, both also co-sponsored by UCSD's Medical School/Department of Psychiatry. To educate the public in the potential dangerous side effects of steroid therapies and to assist clinicians in communicating with and coordinating better pain medication, treatment , and services to women patients who rely primarily on homeopathic remedies for the treatment of common illness and pain. Established a 501(c)(3) non-profit organization to address the mission of the Diana Foundation, 2004. All donations are tax-deductible and can be made on our Contribute page. Cosponsored four conferences and symposia in 2006, 2007, 2008, and 2012. In 2009, the New York Academy of Sciences published the research papers presented at the Glucocorticoids and Mood symposium, June 2008, in a book edited by Dr's. Lewis Judd, UCSD Medical School and Esther Sternberg PhD and M.D., Research Director at The Arizona Center for Integrative Medicine, University of Arizona. The book, Glucocorticoids and Mood: Clinical Manifestations, Risk Factors and Molecular Mechanisms is available for purchase on Amazon. Underwrote a Consensus Research Project in 2013 following up the colloquium in 2012 of fourteen researchers from Europe and the U.S. culminating in a white paper titled, Recognized Dangers of Glucocorticoid Medications; Serious Psychological, Cognitive and Behavorial Side Effects to be published in 2014. Community Outreach: The Diana Foundation teamed up with UCSD-TV (University of California, San Diego) to produce 20 hours of programming based on speaker presentations at the two Pain Management In Women Conferences in 2006 and 2007. The talks were broadcast as part of UC-TV’s Medical Hour over UC-TV satellite and cable to hospitals, clinics and medical practices. Videos of the presentations are available on YouTube and UCSD TV. Underwrote research paper on the incidence of steroid-induced psychosis. See Diana Foundation Web site research article “The Neuropsychiatric Sequelae of Steroid Treatment” by Benjamin H. Flores, M.D. and Heather Kenna Gumina, MA Department of Psychiatry and Behavioral Sciences, Stanford University, Stanford, CA. Underwrote research into gender bias in clinical trials for new prescription medication by pharmaceutical companies seeking FDA approvals, 1968-1993. See Diana Foundation Web site research article “A Review of Clinical Research and Pain Management in Women” by Witney G. McKiernan, RN, University of California, San Francisco. Dec 7, 1945  August 24, 2003.